As a small business owner, you may be wondering how you can harness the power of social media – the answer is that you can and it is not as difficult as you may think. In this article, we take a look at a few simple tools that you can use. With a little effort, you will be surprised at the results that you can achieve. Have you tried out LinkedIn? LinkedIn is a powerful network. The beauty of LinkedIn as a social media tool is that it is geared for business networking. You can create your own personal profile and a profile for your company. Then, you can create a presence and get other users to follow your brand. If you have a blog, you can post your own unique content online. A blog is a great tool. It takes a bit of time and dedication in order to create your own content on a regular basis, but it is a great way to position your business online. If you don’t have the time or inspiration to write your own content, you can hire an internet marketing firm to do it for you. It also aids in giving your business credibility. These are two simple ways that you can get involved in social media – there are many more. Remember, that the type of industry that you are in will determine and your business goals will determine your overall strategy. If you feel that you are struggling, it may be time to consult with an expert. 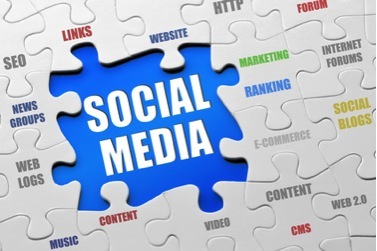 WSI Internet Marketing offers social media consulting services that can be tailor made for your small business.